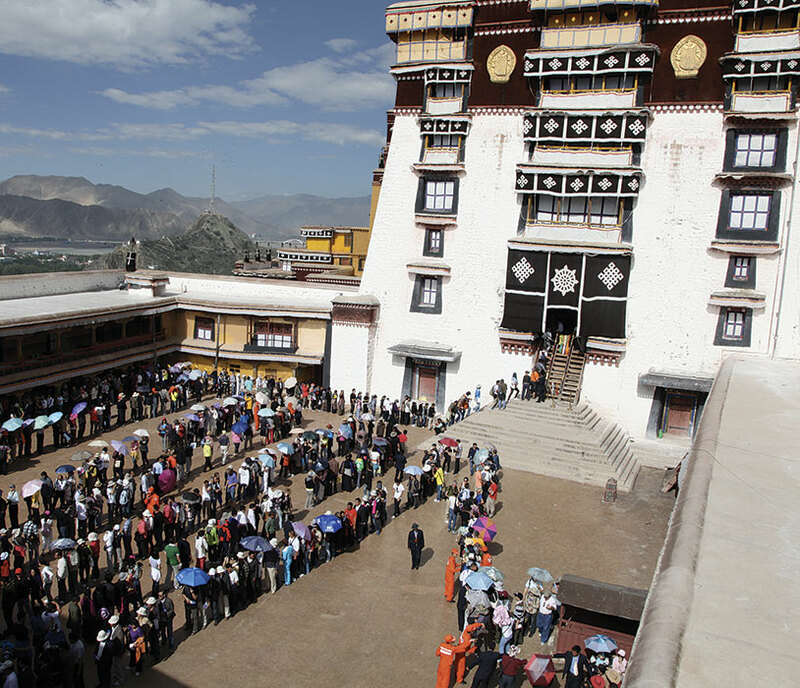 (TibetanReview.net, Jul24, 2018) – Though constructed centuries ago with timber and clay and therefore fragile, China has decided to open a new route for visitors within Tibet’s Potala Palace, a UNESCO-approved World Heritage Site, to let in an ever-surging number of tourists. “We usually receive about 2,000 tourists a day, but this has increased to over 5,000. Thus, we will open a second route,” China’s official globaltimes.cn Jul 22 quoted a palace employee as saying, requesting anonymity. When the number of palace visitors surpasses 5,000 in a day, the new route will be opened to protect the buildings, the report cited the palace administration as saying on its website. The report said the new route will cover 15 attractions, including the treasure hall and the porch of the Potrang Karpo, or White Palace. 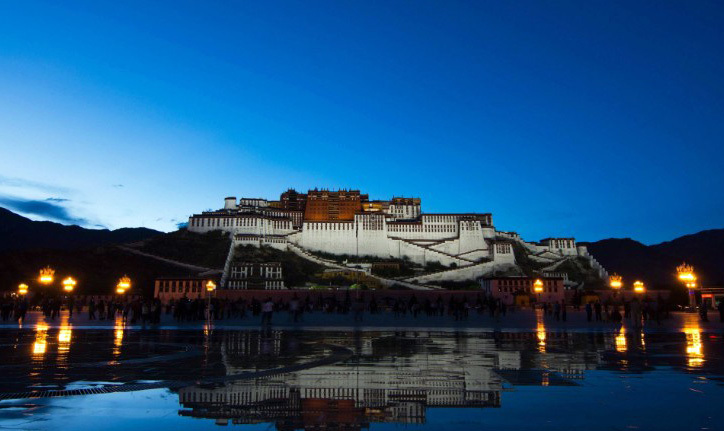 The anonymous employee has added that the Potrang Marpo, or the Red Palace, in the middle of the Potala will not be included in the new route. 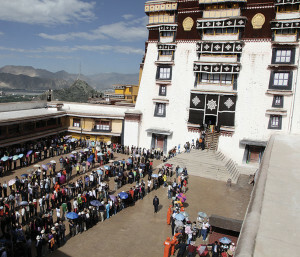 Meanwhile China’s online Tibet news website eng.tibet.cn reported Jul 23 that the queuing time before the ticket reservation office had been moved up from 7:30 am to 7 am, and that ticket reservation time had also been moved up from 9 am to 8:30 am, due to the arrival of the peak visitor season.